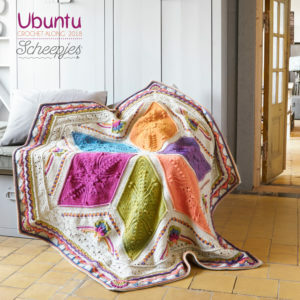 I have never been this excited about a project! EVER! You should have seen me running around the kitchen screaming to myself like some modern-day drinking-straw-Einstein. On second thought, it’s good you didn’t experience this Paper Straw Eureka! 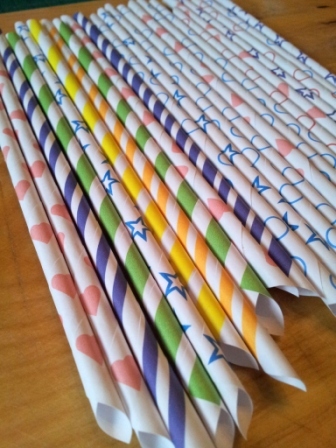 Although paper drinking straws are now much cheaper than they were, I find the idea of making them (and the freedom to choose my own color and design) exhilarating. I searched and searched and couldn’t find a tutorial anywhere. And of course I then had to make one. In this day and age there are so many convictions/beliefs to cater for. This has made the whole endeavor a lot more tricky. Will the final product be fit for vegetarians and vegans? Will it be ecologically satisfying to the greenies? I have used both corn starch paste and gelatin glue with great success. I prefer the gelatin glue, though, because it is thinner than the corn starch paste and thus makes for less irregularity in the completed straws. But the corn starch works. 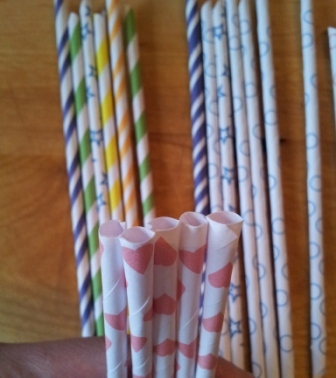 I used (and will advise you to use) paraffin wax to seal the straws with. But being well aware of the paraffin-wax-is-a-toxin-from-the-devil debate, I have ordered some soy wax to test. I will update the post once I know if it works as well as the paraffin wax. I’m sure it will. Update 15/11/12: I have now tested the soy wax and it didn’t work nearly as well as the paraffin wax. 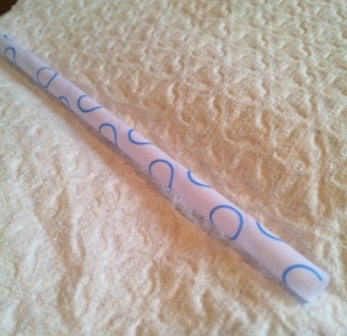 To read more about it, see my post about using soy wax for sealing paper drinking straws. 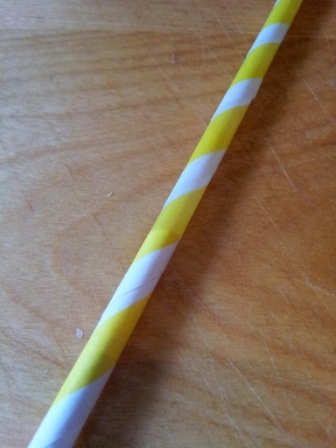 Just as an aside, the paper straws you buy – unless stated otherwise – have been coated in paraffin. 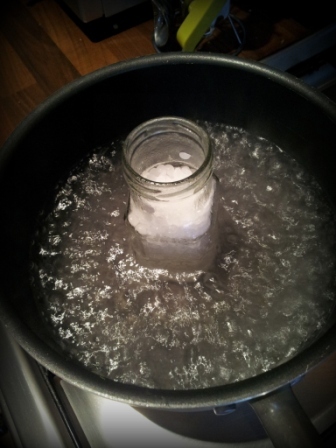 If you have any concerns, read my little paraffin wax blurb at the end of this post. For more information about soy wax and paraffin wax, see the post I did about Soy Wax versus Paraffin Wax. As for the printer ink/paper being possibly deadly – bah! They are coated in paraffin wax and will not be absorbed/ingested in any way. Unless you decide to eat the straws, in which case you’re on your own. Templates – you can find all my available Paper Straw Templates here. A Chopstick – yes, really. 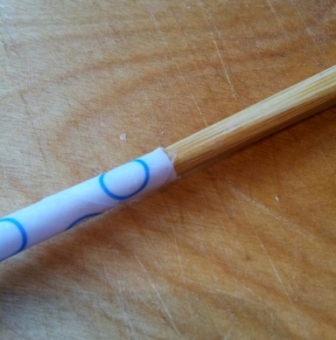 Make sure the tapered end of the chopstick fits into the straw. Print out the template. You will be tempted to print it out on card stock. DON’T. 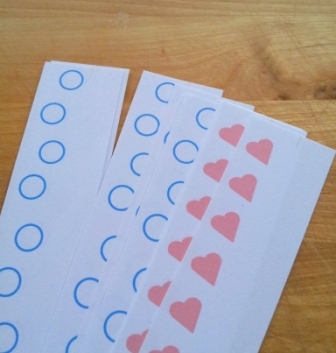 Use plain old printer paper. Make sure you print it out to the actual size. 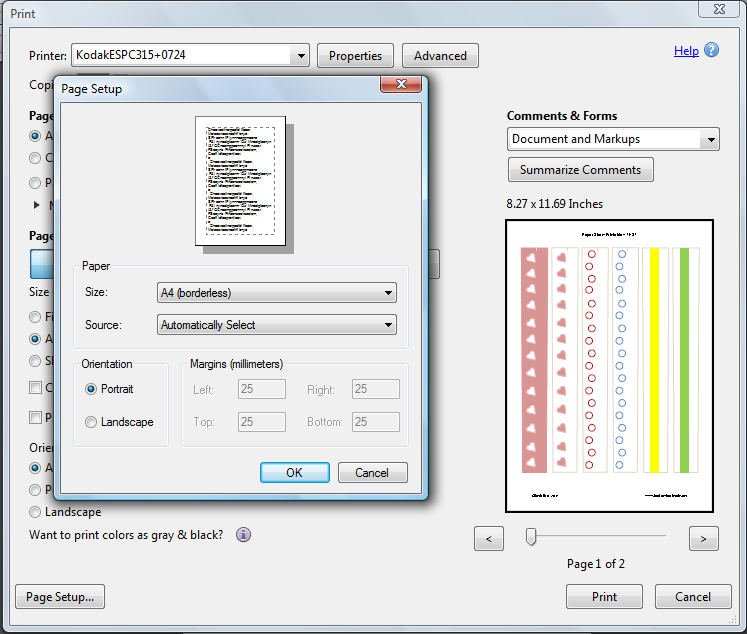 To do this, click on Page Setup when printing. Then select A4(borderless) as your size. Click OK and Print. If you have a large kitchen and can sit at the kitchen table and cut out your straws while the paraffin wax heats, I would strongly suggest getting the wax started first. But paraffin wax is highly flammable and should be melted over a low heat with constant supervision. And it takes forever to melt!! So if you need to do the cutting and rolling in another room, do that first and then come back to this step. Place the wax inside your mason jar (I used a diddy Sharwood’s pot as I didn’t have a mason jar available). 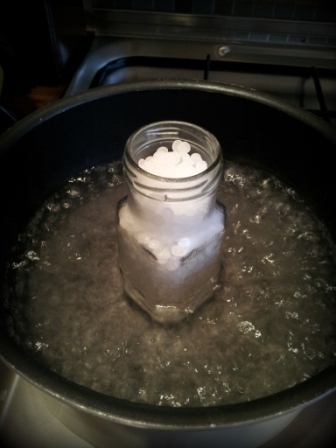 Put the mason jar inside a pot and fill with boiling water. Turn the heat up so that the water is just boiling. As the wax melts, the level will go down, so you will need to add more. I suggest adding enough wax that 2/3 of the straw will be immersed when dipped. While this is going on, cut out your straws, making sure to cut inside the lines. The paraffin wax will make the paper slightly transparent, so any lines will show. 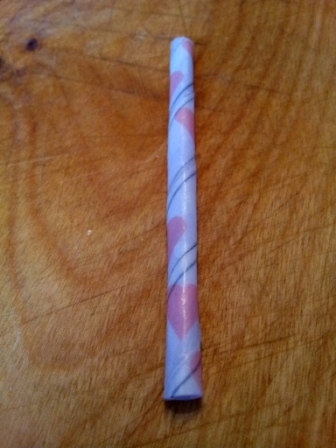 This was one of my first test-straws. Obviously the black outline was a bad idea. So was not cutting inside the lines. You will also notice a very feint line (about 5 mm long) more or less 1 cm from the top right corner of the templates. This is your rolling guide. On your first turn, you should try to match the edge of the paper up to this line. If in doubt, rather roll to the bottom of it than to the top. Also, as a rule of thumb, if your design is to the left, your template is the right way up. 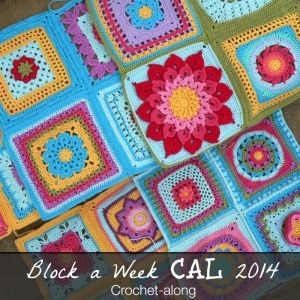 Now turn your template around (keeping the top at the top) and apply your glue to the right edge. Exactly as on the photo. If you are in any doubt, double-check that you are, in fact, placing the glue behind the design and not behind the blank side. As you get more comfortable with the whole procedure, you can start spreading the glue all the way down and then rolling. But to begin with, just do a 5 cm strip of glue and get the first turn stuck down before applying more glue. 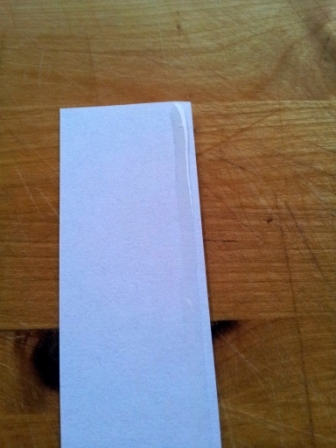 So…with your glue applied, place your straw on the top left corner and start rolling your paper around it. You want to put the straw at a 15-20 degree angle to the paper. Rather less than more! If your angle is too big, your spirals will become closer to each other towards the bottom (the same as when your glue is too thick, you apply uneven pressure, or you don’t taper your template) and your straw will be super short. This is the right way (above). See how even those spirals are? This is the wrong way (above). And look at the difference between the two. Starting from the left corner, roll the paper around the straw, making sure that you are on, or below, the rolling guide mentioned above. 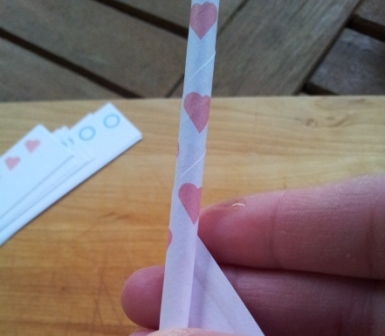 Continue rolling the paper around the straw until you get to the end. I find it easiest to twist the straw with my left hand while guiding and pressing the paper with my right. When you get to the end, apply a touch more glue. Apply gentle pressure for a second or two and rub off any excess glue at the same time. Remember to remove the plastic straw when you have finished rolling your paper drinking straw. If your straws appear flimsy, don’t be concerned. The wax will harden them. 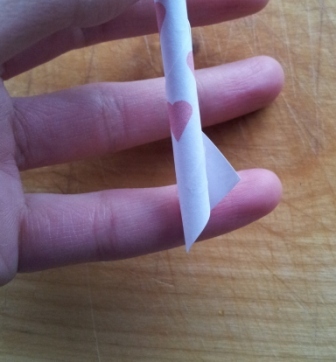 When you are all done rolling, cut off the pointy tips. 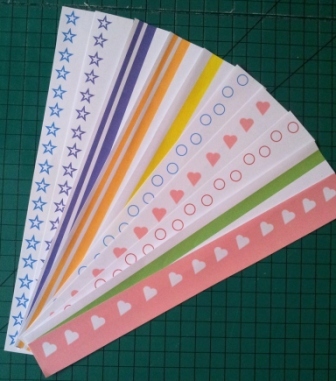 You can cut them individually, but I like cutting them a few at a time. I use an already-cut straw as a guide so that all of them are even. The ends will look a bit sad now. Just poke and prod them to get them nice and round again. Once your paraffin wax is all melted it is time to dip the straws. Turn the stove off. It’s way easier to do this without steam everywhere. Make sure you have your kitchen towel/paper and your chopstick to hand. Take one straw. It doesn’t work with a bunch, I tried it. Dip it into the melted wax. Make sure you dip more than half the length. Lift it out of the wax and shake off any excess wax. Now give the straw a gentle wipe with the paper towel. You don’t want to remove the wax, just smooth it out a bit. If you remove too much wax, your designs will fade in the water and your straw won’t be as strong as you’d like. I find it easiest to keep a piece of kitchen towel in my left hand and roll the straw on it with my right hand. For a neater finish, roll along the lines, not against them. Now quickly take your chopstick and poke it into the end of the straw. 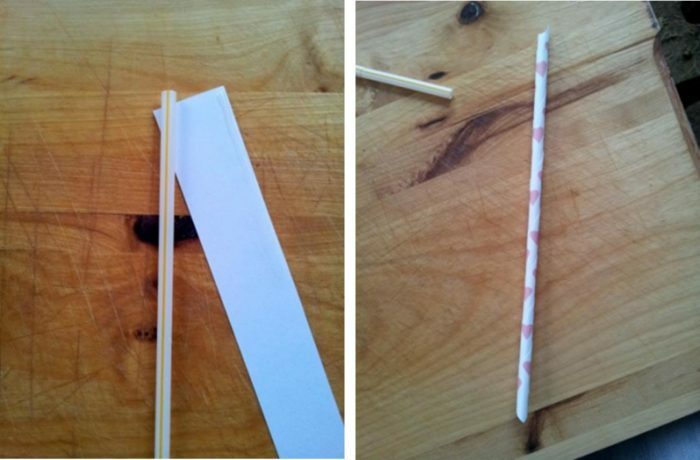 You are using a chopstick because the points are usually tapered, making it the ideal tool to insert into the straw. When it starts meeting resistance, roll it two or three times and then remove. 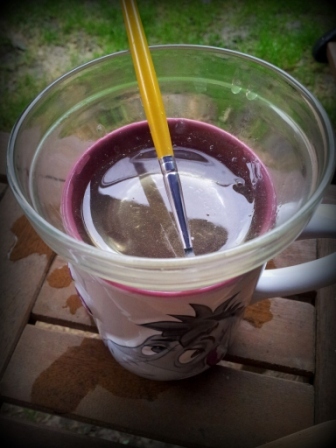 This makes the end nice and neat and removes the thin layer of wax that accumulates at the mouth of the straw. If you take a close look at the photo below you can see the difference between the waxed and unwaxed ends. 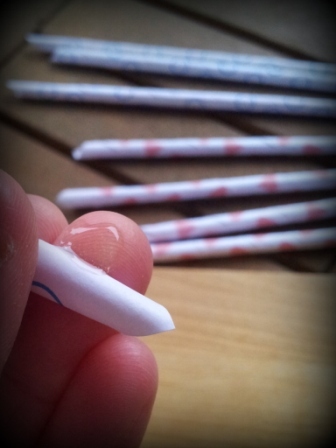 Now repeat with the other side of the straw, making sure to dip it into the wax past the previous dipping point. I tested one of these paper drinking straws in a glass of water for 8 hours and it was still fine. Anyone who still has a straw in their drink after 8 hours was obviously not very thirsty to begin with, and shouldn’t complain if the straw disintegrates after that length of time. 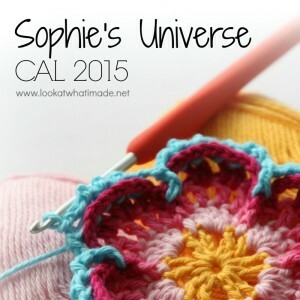 I hope you don’t find this project too daunting, because it really isn’t. 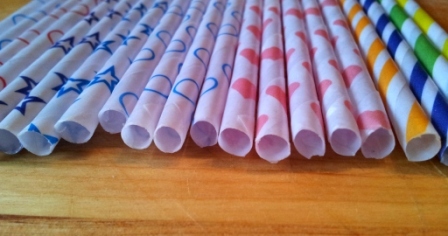 You can make, from scratch, 20 straws in an hour. The main time constraint is the melting of the wax…soooo slooooow. You can find all available templates here. I will be adding more templates as I generate them. The Paper Straw Templates are in PDF format, with 6 straws per page. 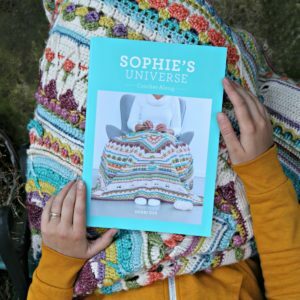 If you want me to generate one of the designs in a different colour, or you have an altogether different design in mind, drop me a line and I will see what I can do. When you print your templates, please remember to follow the printing instructions at the start of this post. I am well aware of the controversy surrounding the use of paraffin wax and the belief that it is harmful. It isn’t, in fact, toxic. It is also non-digestible, so it comes out pretty much like it went in. It is used in crayons, candles, wax paper and -cloth, candies/chocolates, chewing gum and as a coating for cheese and a sealant for preserves. These are but a few of its uses. For this project you won’t be burning it, so no soot and harmful toxins from that. …at least, I hope not. 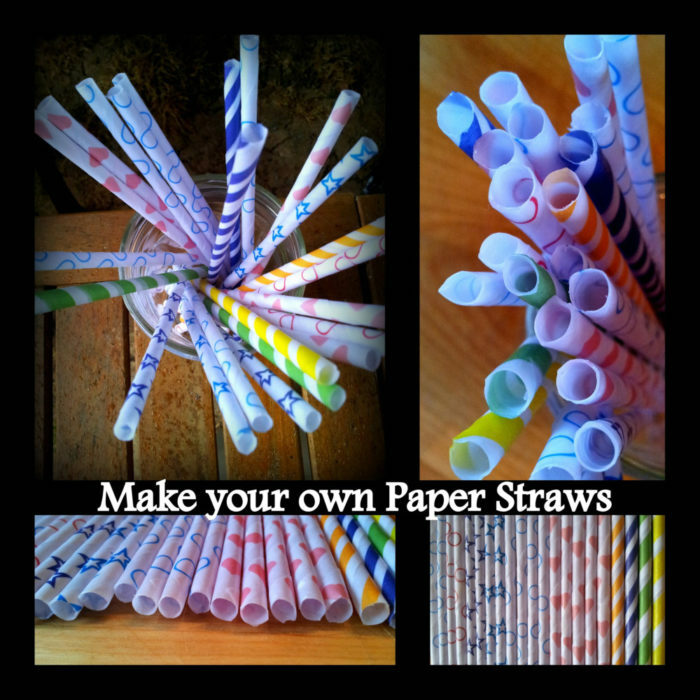 I hope you feel inspired to make your own paper drinking straws and would love for you to share your results with me. This is one way of showing your creativity at the same time helping with the preservation of our planet earth. We should learn that we are responsible for the protection of our planet. We can start by using eco-friendly products. Thanks for doing this tutorial. 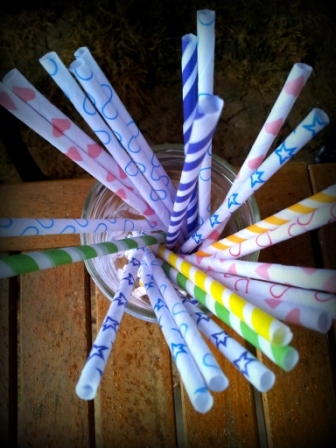 I love my handmade straws and use them only on special occasions, Keep up the good work. 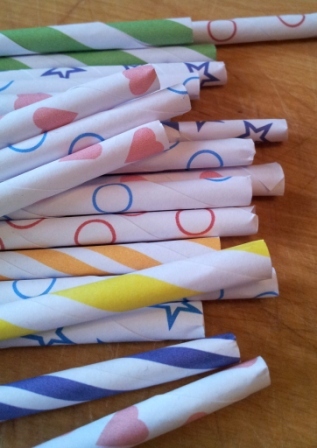 What a great tutorial on hand-made paper straws! 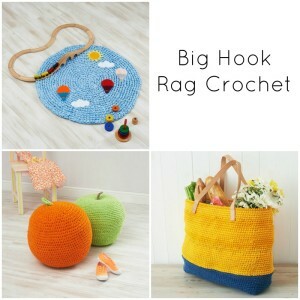 I cannot think of another hand-made item that is as useful , as well as, fun and and easy to produce. Thank you for sharing the straws! 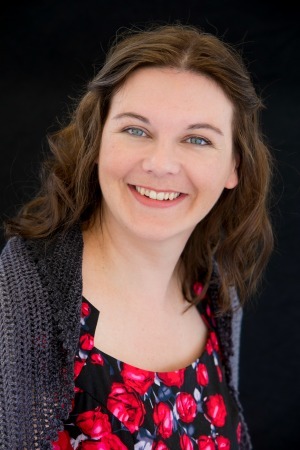 A nice person is behind this website – keep pushing the straws! Hi! Thank you for your tutorial! Love it! I just have a question. 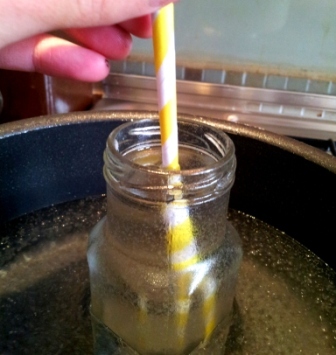 Once I dipped my straws in the paraffin wax to seal them, it darked the color of the straws. How can I keep my straws still looking bright white? I was at Michael’s, and saw their straws, and don’t look faded at all! Other than that, I have the rolling and glueing down pat! Thanks foe your help! Hi Priscilla. 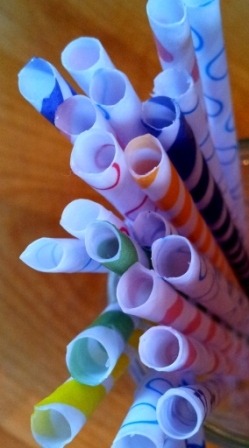 My straws are all still pristine (at least, the ones I have left after more than four years!). I don’t know why yours got stained. Is American paraffin wax different to UK paraffin wax then? Thanks for doing this tutorial. 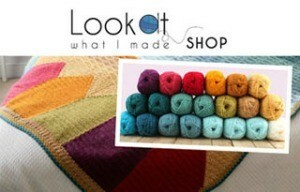 I love learning to do things that most people think cannot be made by hand. Or as some relatives think, why do you bother. The reason, of course is, because it’s fun. 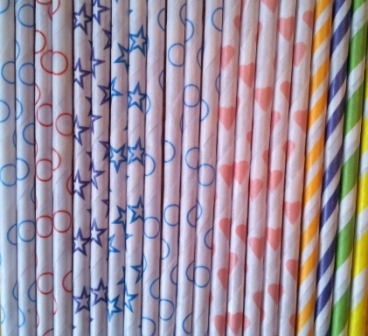 And in the event of civil collapse, I’ll be the only one on my block with cheery paper straws. Keep up the good work. Haha, Martha. 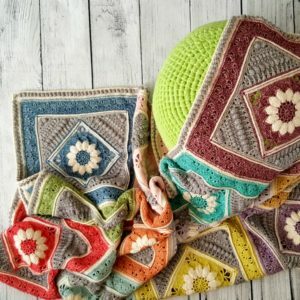 I am always saying: When the apocalypse comes, I will be able to crochet blankets/rope/bags or sew trousers/bake bread/make glue. In the (unlikely) event, I will come find you and your pretty straws! Beeswax! It’s slightly different from Paraffin, but works pretty much the same. The wax melts at a slightly lower temperature. We’ve been keeping bees for 42 years, and I can’t say how much beeswax I’ve eaten. That is exactly why coat them and if you buy paper straws they will already be coated in parafin wax, otherwise they would dissolve too, and they don’t. If you would like to give them an extra dip, I am sure that it will help to keep out moisture. Hi Dedri, i’m from Indonesia in Asia. You know what, it’s difficult to find this thing here. thank you for sharing ya. one question, did you print the template using ordinary paper and ink? Do we have to print it on special paper (with special ink)? Thanks. Excellent :) Did you take some photos, Patricia? Hi! Thanks for the great tutorial. 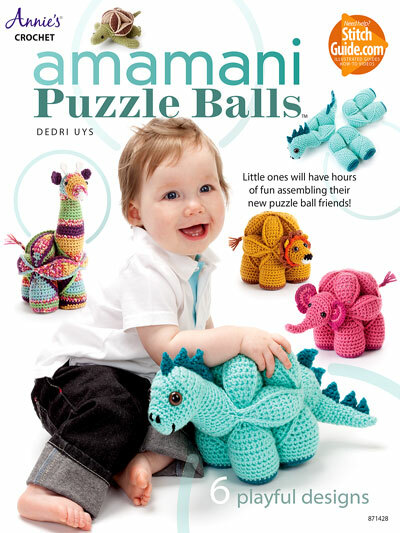 A quick question because I didn’t see it anywhere in here…will these be hard enough to use for cake pops?? Thanks so much! Hi Wendy. They are definitely hard enough for cake pops. I’ve used them twice! Hi Lynnsey. Yup. Great minds and fools, my mom always says. 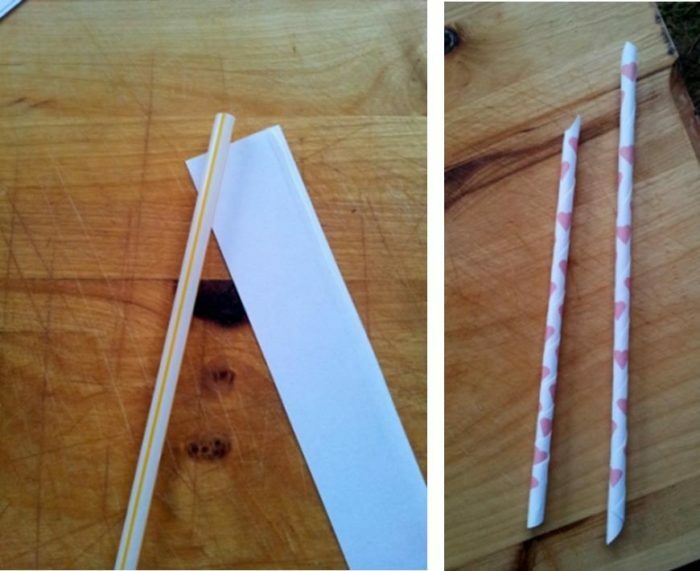 These straws aren’t tricky, so you should be able to make them quite quickly once you get the hang of it. 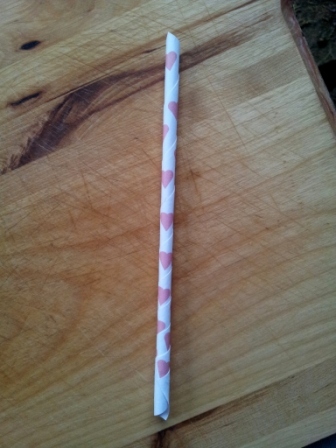 I love my handmade straws and use them only on special occasions (or when I’m having a drink and need to be cheered up). Hi I Loved your tutorial. Do you have other templates that I can use. Hi, Haritha. 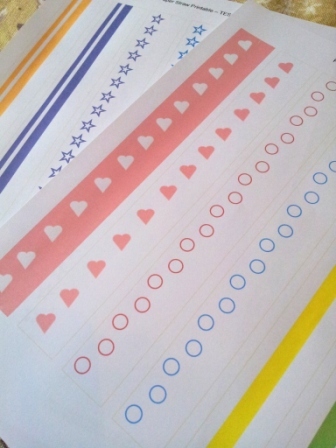 I will put all the templates I have on the site shortly. WONDERFUL!! 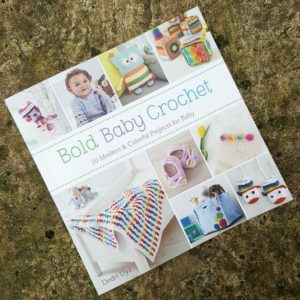 Thank you so much for sharing – what a fabulous and fun project!